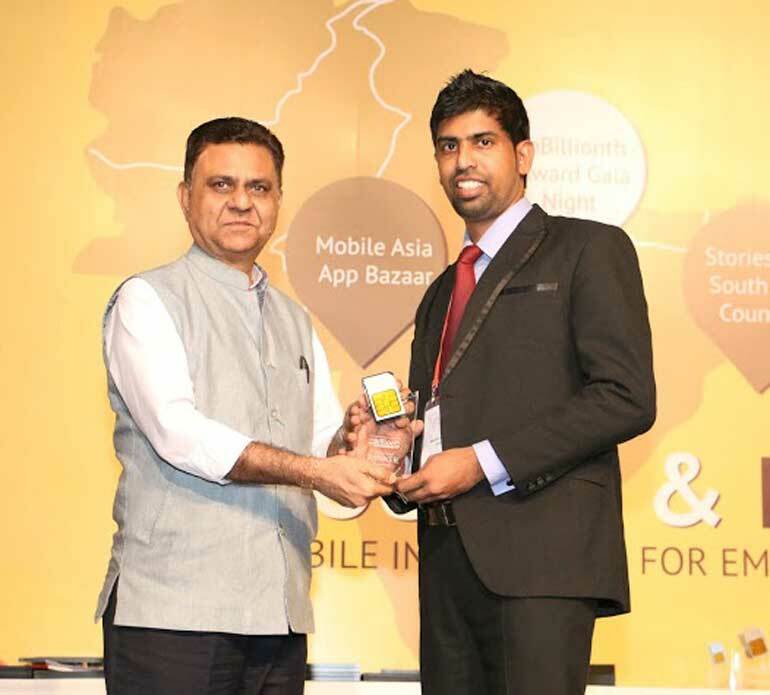 The National Mobile Service Provider Mobitel received the prestigious accolade for culture and heritage category at the recent mBillionth Awards held at the India Habitat Centre, New Delhi, India for MobitelmGuide,the innovative mobile-based audio service that provides ample information of archaeological and historical interest with just a press of a button from a Mobitel connection. The industry‐driven mBillionth Awards gives recognition to organisations in the South Asian region, that take the initiative to bridge the digital divide, empower people and bring about greater socio-economic equality. Mobitel gained much recognition for mGuide, a virtual tour guide that provides information about archaeological, historical and cultural interests and places of historical importance in Sri Lanka. Launched in 2011 for the first time in Sri Lanka, mGuide provides information through a voice short code by simply dialing 888 on a phone with Mobitel connectivity. This service is enabled incollaboration withthe Department of Archaeology – SriLanka and offers access to information on historic sites in the country which are of archaeological or tourist interest. The service is currently available in Sinhala, Tamil and English and will be available in 10 other languages in the near future including Hindi, French, German, Japanese, Chinese, Korean and Arabic to cater to the growing tourism sector. The mBillionth Awards acknowledges South Asia as a key hub of the world’s mobile and telecommunications market in terms of penetration and innovation. The Awards recognise mobile phones as the most powerful digital tool for empowerment across the world, surpassing all other media forms such TV, radio, Internet, newspapers, magazines and landlines. With the rapid increase in penetration of mobile technology across almost all socio-economic strata around the world mBillionth Awards identifies the mobile platform as the natural choice for overcoming the information barrier and extending essential and innovative digital services to the broadest section of the population.